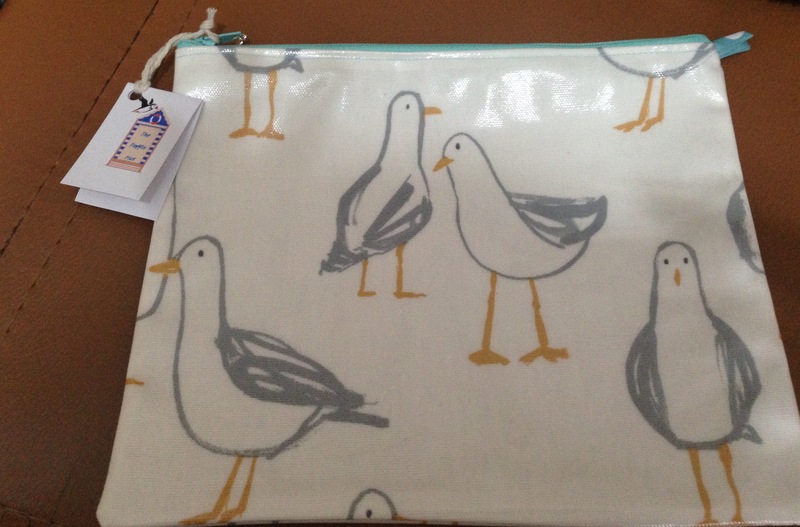 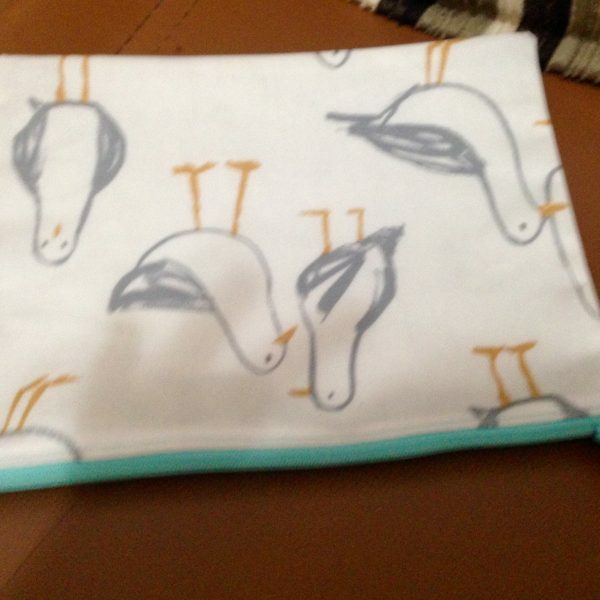 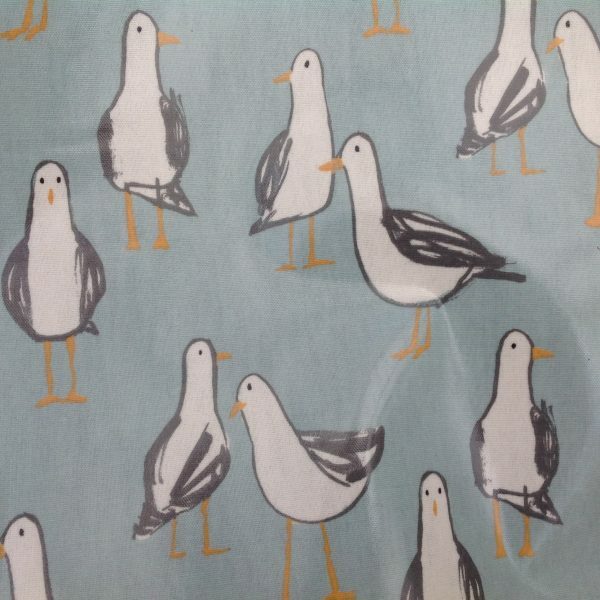 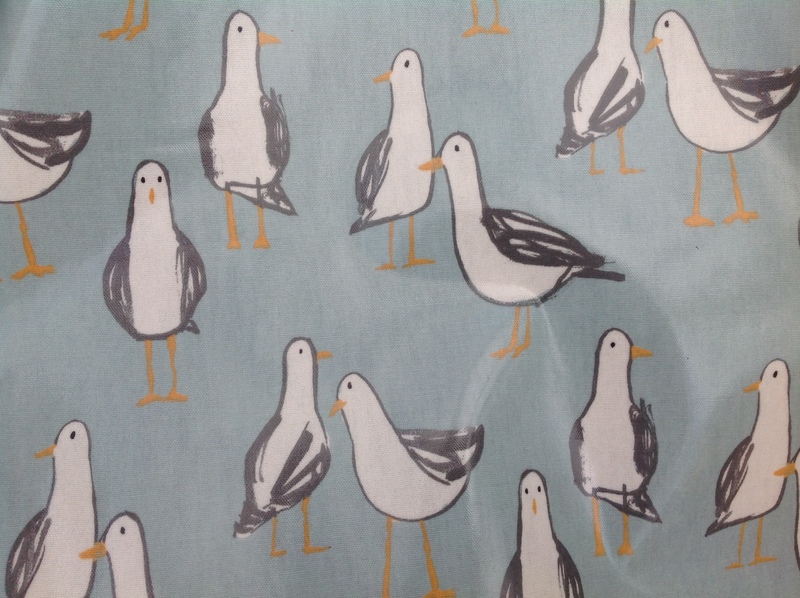 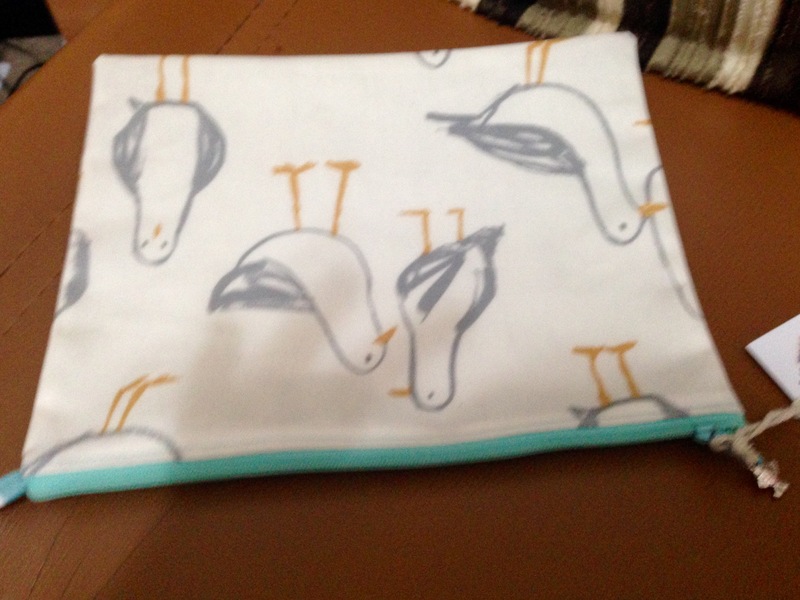 Lovely seagull oilcloth bag, suitable for many uses, large make up bag, toiletry bag,large pencil case or just useful for those hit’n’bobs. 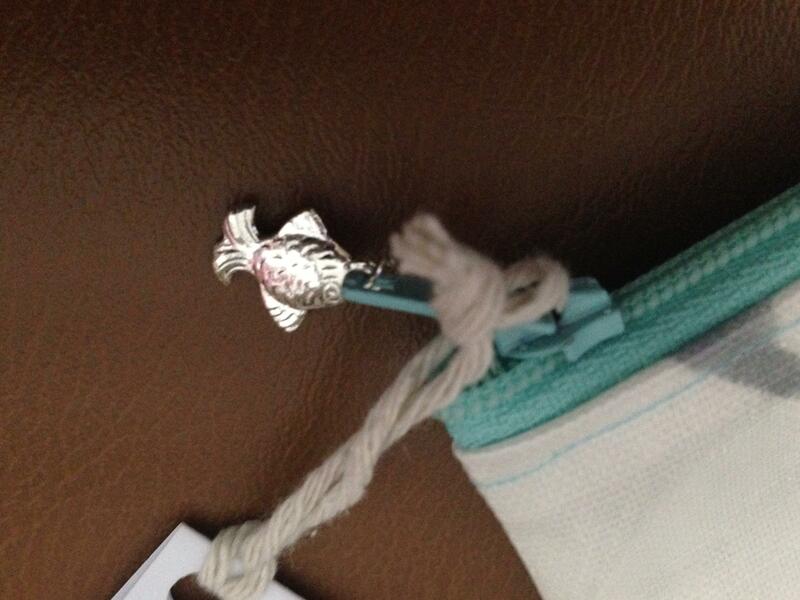 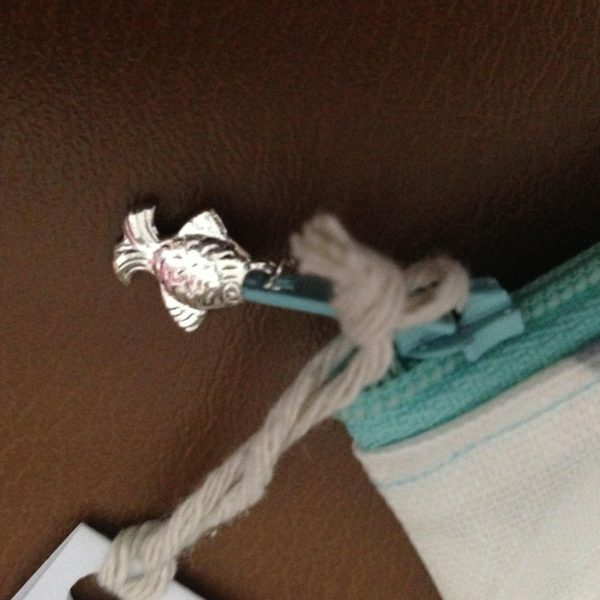 Fully lined in contrasting oilcloth material, zip closure with seaside charm on zip pull. 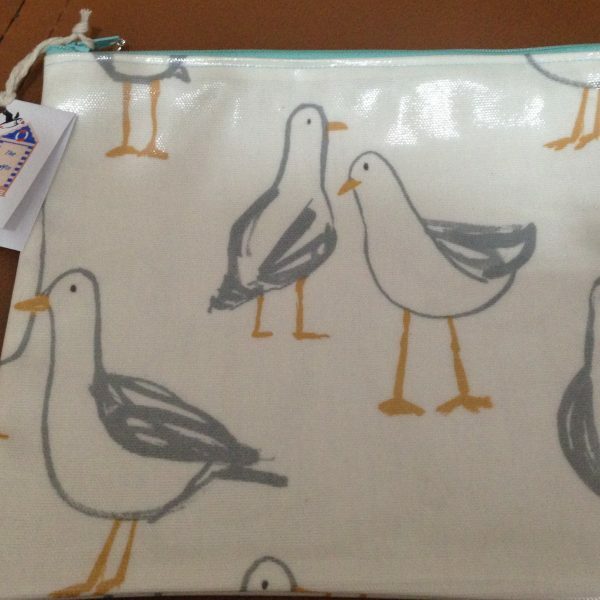 Please note these bags are made to order, so positioning of seagulls may vary due to cut of fabric – I am happy to send a digital photo prior to sending.